Finding the earliest example of a cooperative video game has long been a quest of mine. 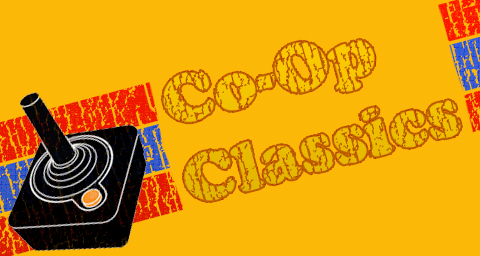 In this column, we've covered some of the oldest and most important co-op games. Mario Bros., from 1982, features co-op exactly as we define it here at Co-Optimus. Joust had a form of co-op, too, and it was released a few months before Mario Bros. Today, we look at an even earlier classic game with cooperative elements: Space Invaders II. "Wait a minute," you might say. "Space Invaders Part II didn't have co-op!" That's correct. Space Invaders Part II has old fashioned, "take turns" multiplayer. But Space Invaders II is a totally different game! For some odd reason, in 1980, two years after the original Space Invaders took the gaming world by storm, two seperate sequels were released. One of them was released as Space Invaders Deluxe in America. 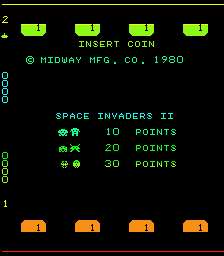 The attract mode of this game displayed "Space Invaders Part II", the name it went by in other countries. The second sequel, released that same year, was Space Invaders II, no "Part", no "Deluxe". 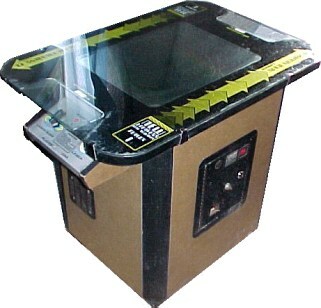 Due to the very unusual playfield, it was only available in a cocktail style cabinet, as pictured above. This means the game was a bit more scarce, and probably explains why it's not as well known. What's so unusual about the playfield? Most games in a cocktail cabinet flipped the orientation of the screen when players took turns. You and a buddy sit down at opposite ends of the table, and one plays while the other eats, drinks, heckles, etc. As soon as player one loses a life, the screen flips, and player one is now free to eat, drink, or heckle. Space Invaders II allowed both of you to play simultaneously. That alone makes Space Invaders II stand out from the rest of the early shoot em ups. The classic Space Invaders play was taken into some innovative directions in this sequel. Players controlled tanks on opposite ends of the screen, and had their own shields and aliens to shoot at. The aliens move from the center of the field to the ends, with the iconic marching/heartbeat sound effects. It was as if there was a mirror splitting the screen in half, with two games of Space Invaders happening at once. However, players could interact with each other in various ways. Your bullets could reach into your friend's side as well as your own. This allowed you to help clear your partner's screen, but be careful: you might destroy your friend's tank! Friendly fire leads to some intense sessions; in the heat of battle, it's tough enough to keep up with your own half of the screen, and dodging your buddy's stray fire just adds to the fun. It's clear that the designers weren't really focused on making a game with a great co-op experience. High scores were the order of the day, and competition was what was expected in games like this. Not only could you shoot your partner by accident, doing so would add a life onto your reserve. Notice the numbers on each players shields? They represent what level the player has advanced to. Once you clear your half of the screen, immediately, new aliens spawn for you, preventing you from assisting the other player. All of this screams competitive multiplayer, doesn't it? Page created in 0.8019 seconds.